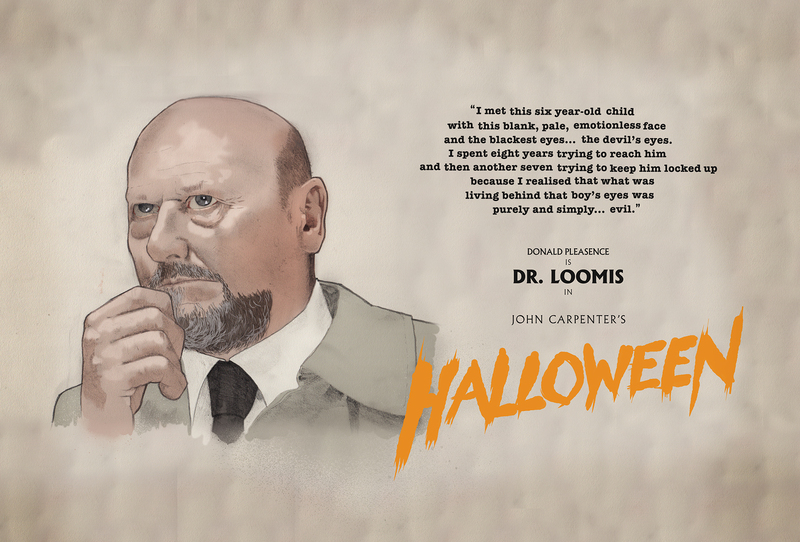 I was watching Halloween recently and admired (not for the first time) Donald Pleasence’s performance of Dr. Loomis. Loomis brings Haddonfield the message that Michael Myers has come home and that death will be stalking every street corner on Halloween night. I can’t tell you how many times I’ve seen this film but the speech Loomis gives to Sheriff Brackett about his history with Haddonfield’s prodigal son still hits the mark. Pleasence has done his fair share of horror movies (including the much maligned The Monster Club which I’m not ashamed to admit I’m a fan of) so I thought it a nice tribute to sketch him for Halloween.